When you need your Phoenix AC unit the most, that’s when it is most likely to break. This principle isn’t just your imagination – when a HVAC system is working its hardest it’s most likely to break. A broken HVAC system can cause temperatures to skyrocket and humidity to escalate rapidly. This can be uncomfortable at best, while be potentially deadly to the very young and elderly. While you may want to immediately call a repairman to take care of the problem, there is a few thing you can do to find out how serious it is. A Phoenix HVAC specialist should always check the thermostat, condensate drain, coils, and other areas. Along with doing thorough upkeep of parts and electrical wires. This is not only great to prevent the AC from breaking down, but also helps keep your electric bill down. 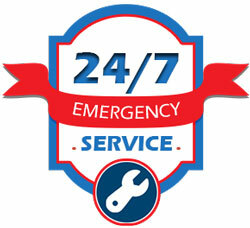 If you need an emergency HVAC repair for your Phoenix AZ home or business, you don’t need to use a second hand technician. When choosing who you want to go with use common sense – a good technician should have a sense of professionalism, well maintained tools, and clean clothes. They should have a broad knowledge of not just HVAC systems, but also of ductwork, plumbing, and electrical.